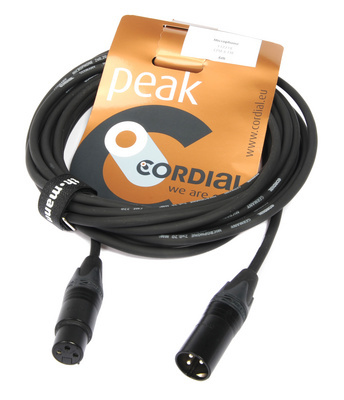 Cordial CAM 6 black, professional microphone cable, original Neutrik NC 3 FXX-BAG + NC 3 MXX-BAG XLR connectors, CME 220 Black cable, including Thomann Velcro cable tie. Length: 6m. Colour: Black. Good quality - very nice price!